Discussion in 'Fiddleback Forge Knives' started by thurin, May 14, 2015. Yes just wanting to try it. I can vouch for RLO, I just got my 1st fiddleback and RLO hooked me up! Awesome person to deal with! I spoke with Jou Fuu the other day. He's been unable to do as much production the last few weeks because of some other commitments. He should have some more sheaths up a week from this Tuesday in his normal thread. I have had the GREAT pleasure of owning sheaths by Wildmanh. They're top quality and look fantastic with a Fiddleback! OP has been updated with Diomedes and Jou'fuu changes. We've been able to fit all but one Fiddleback custom model to our in stock sheath selection. We've had great luck using our Ambush Alpha and Brute sheaths. Our Dakota line and Bark Rivers are used on the rest. If someone wants an off the shelf option, I'd be happy to try and help them in picking one out. As long as we have the model in stock I can check the fit. 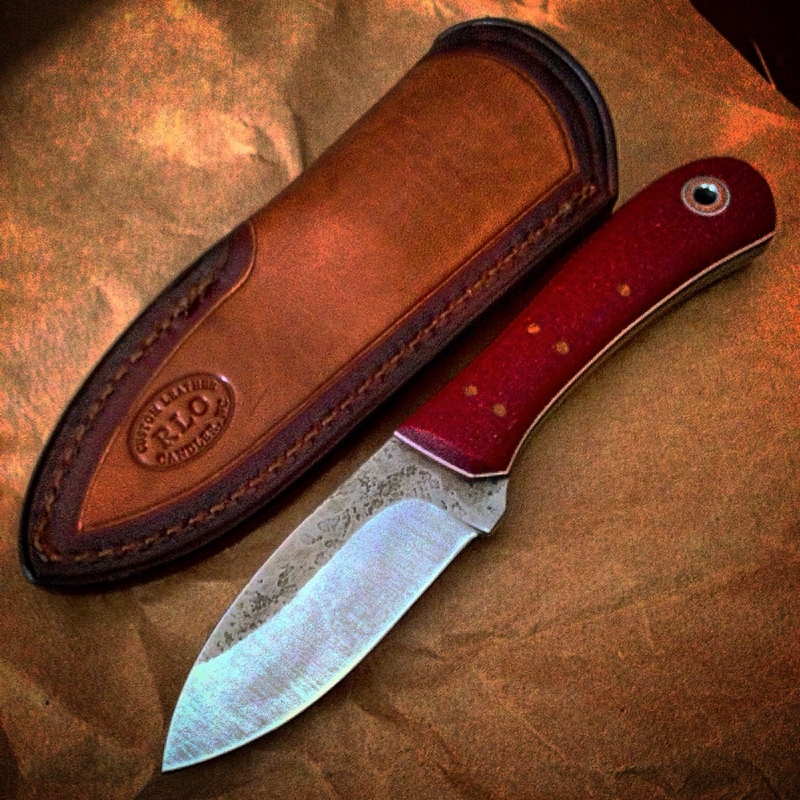 I've been emailing Rick Lowe to get a sheath made. No response from him. Anyone know how to get in contact with him? The email I've been using is the one on this thread. Phillip is correct on the address, I know Rick has been slammed. I haven't contacted him in a couple of weeks but he is working on a couple of sheaths for me right now and the last time we spoke he said he was backed up due to Christmas orders and he was having trouble keeping up with emails as well. My apologies to all that have tried reaching me, but I've been fighting a serious computer glitch with email. I think it's all straightened out now and I'll try to be much better with responses. As mentioned, some of the problem has been a huge backlog on rifle accessory orders which has kept me away from sheath work. My heart is with knives/sheaths, but that other work feeds, houses and clothes my family. I hope all past, present and future customers will understand that my turn around time is going to be stretched a bit for now, but I will do my best to get all orders completed. My thanks to all for the good words and interest in my work. Thanks for the nice email you just sent me! I'm checking out your Facebook page, and look forward to figuring out what I want to order. No worries...no hurry. I have no problem waiting for genuine craftsmanship!